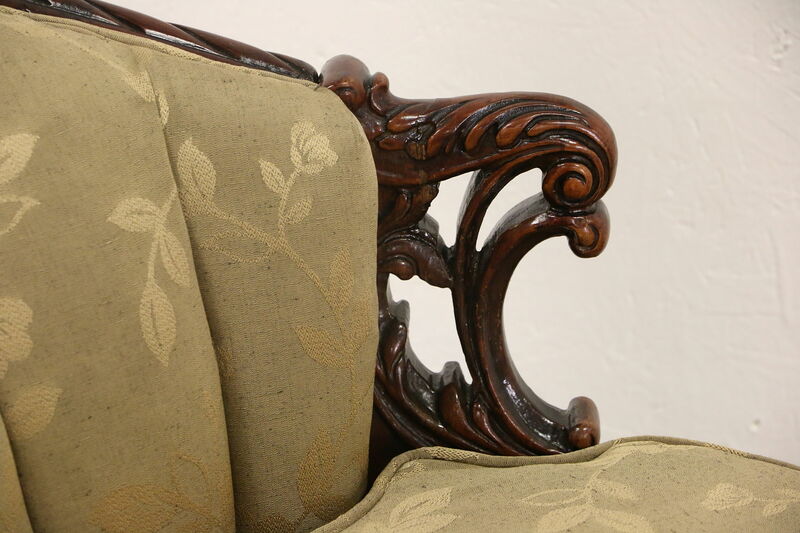 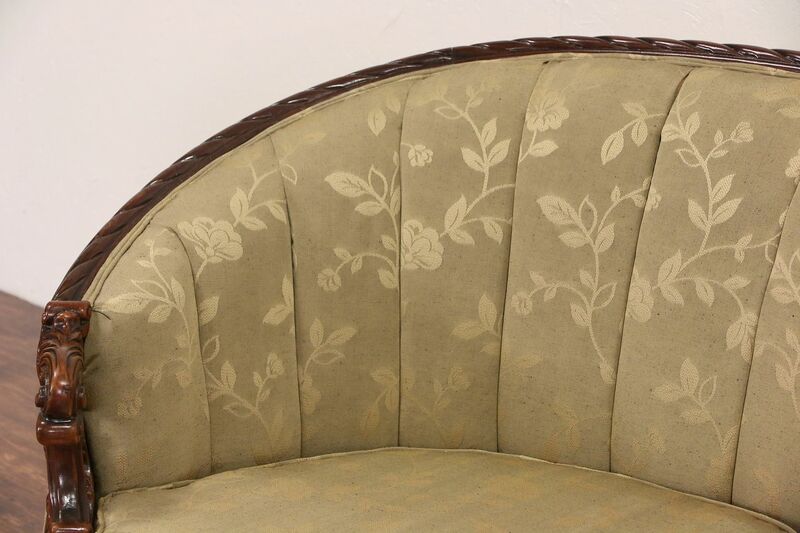 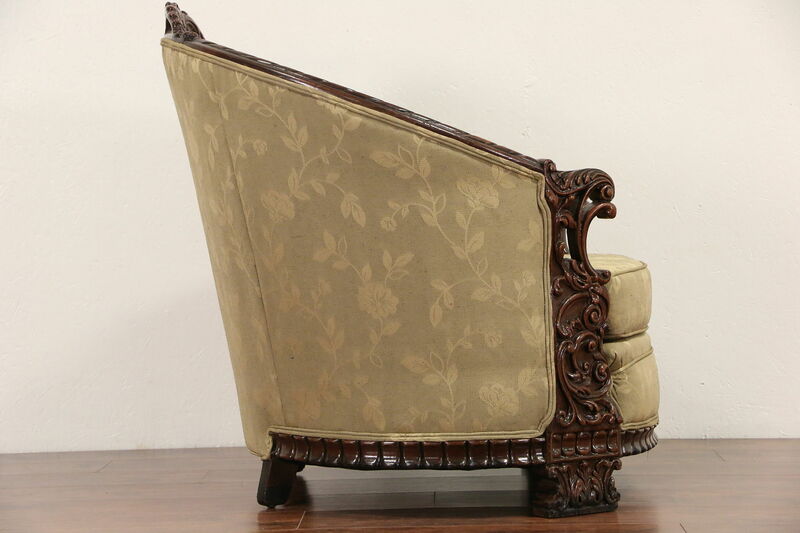 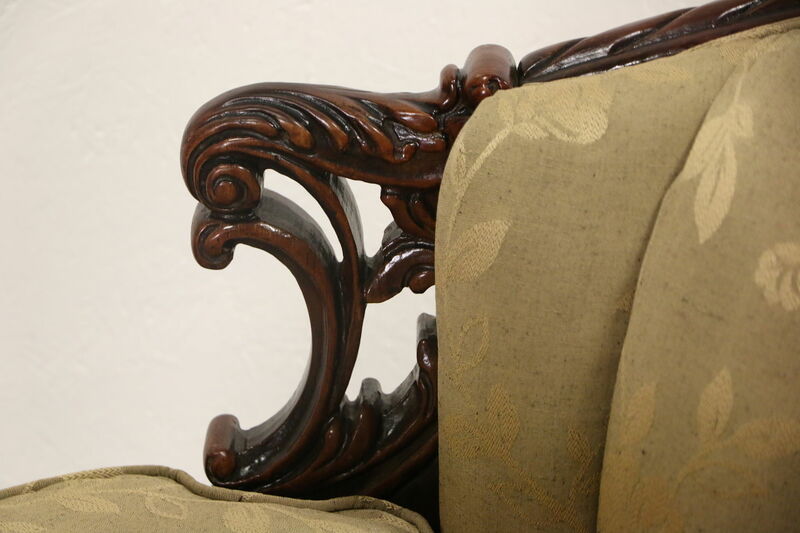 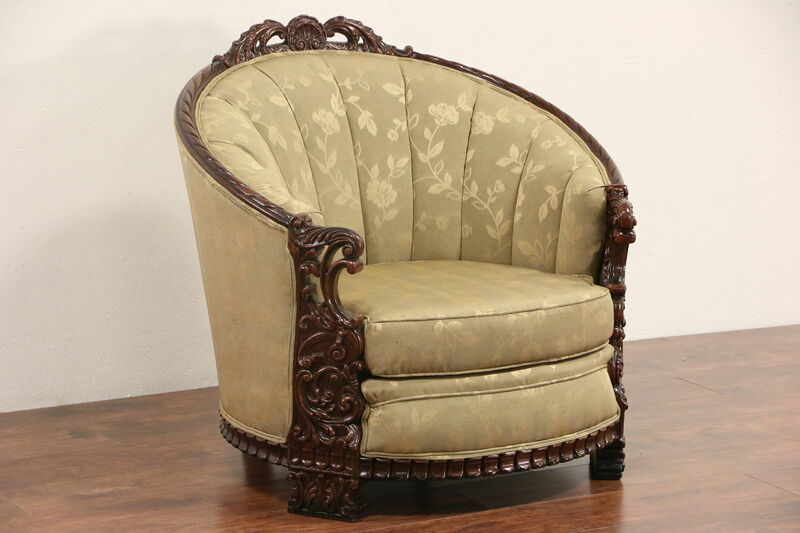 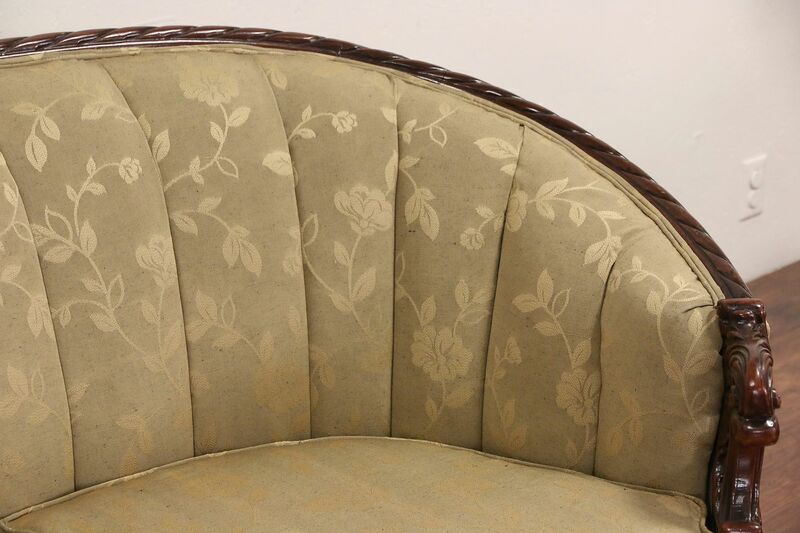 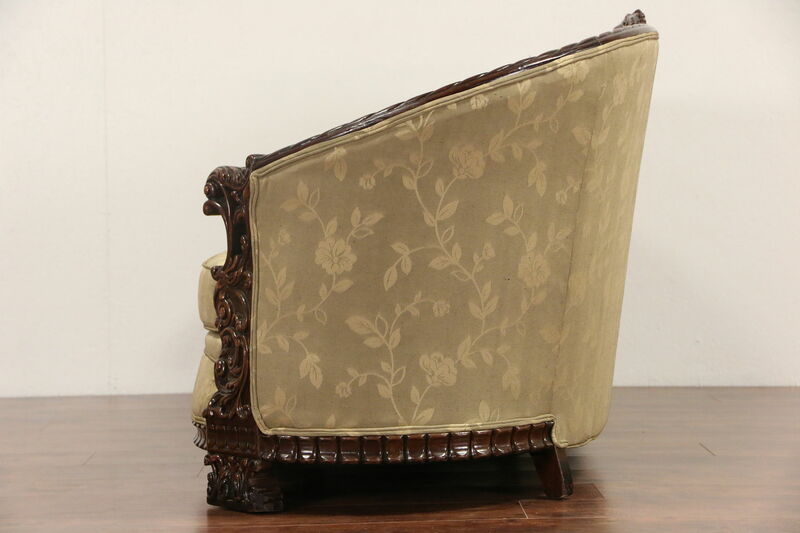 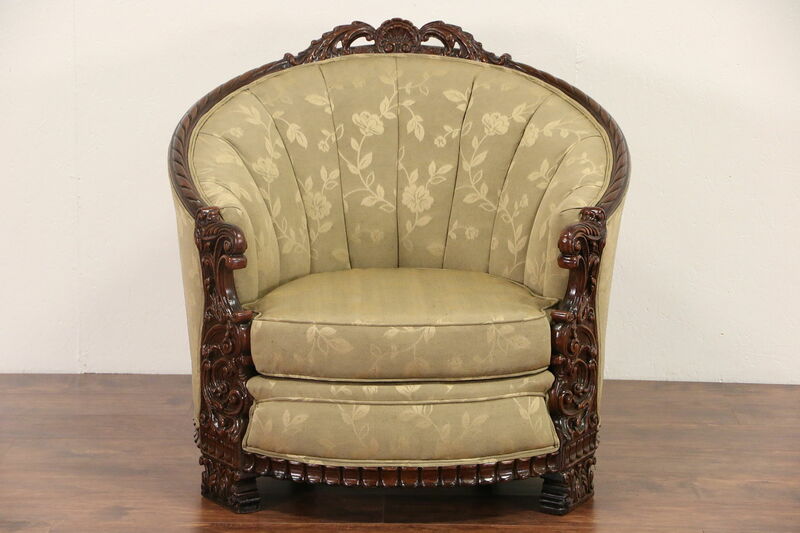 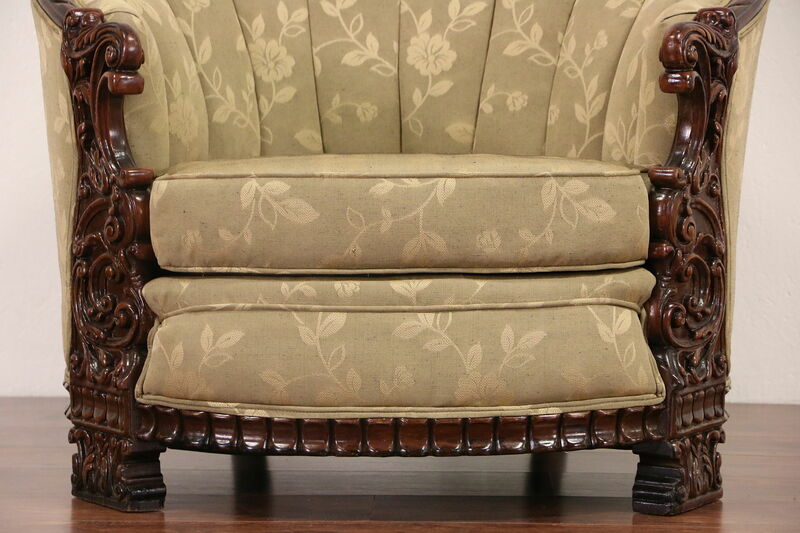 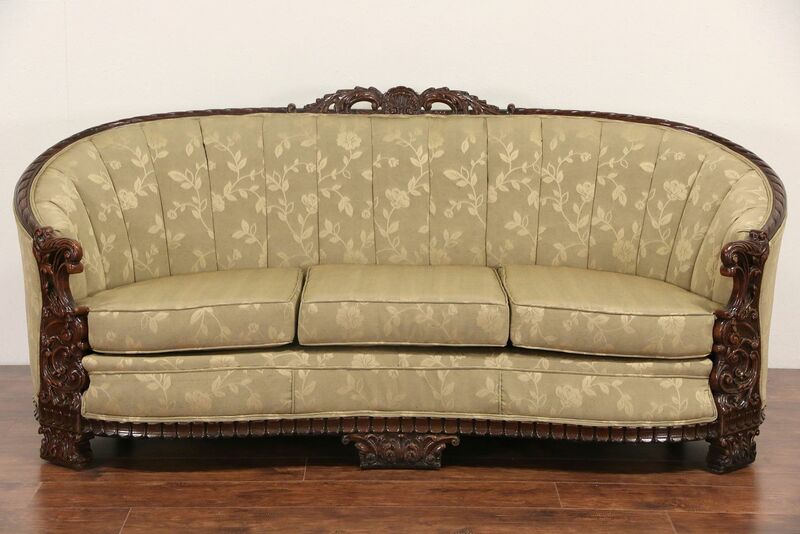 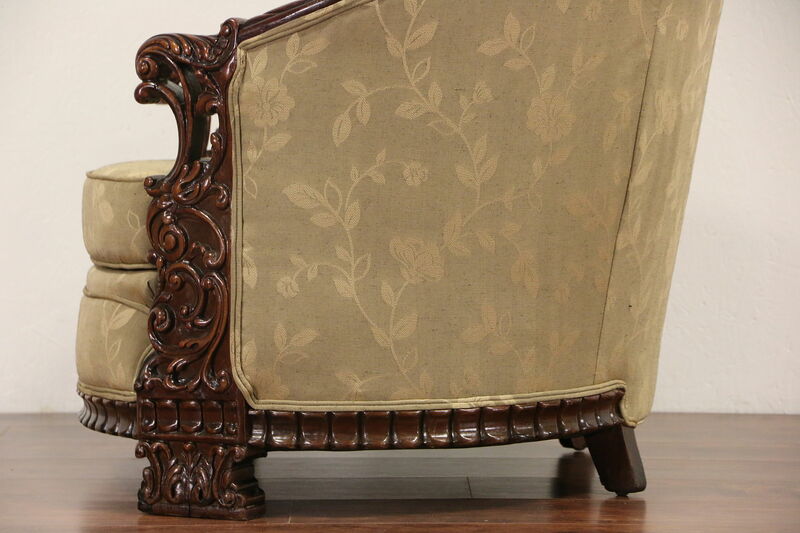 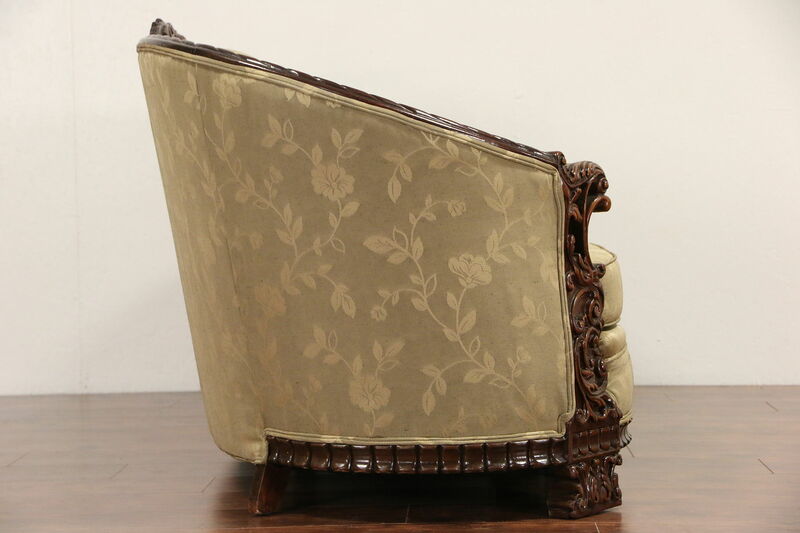 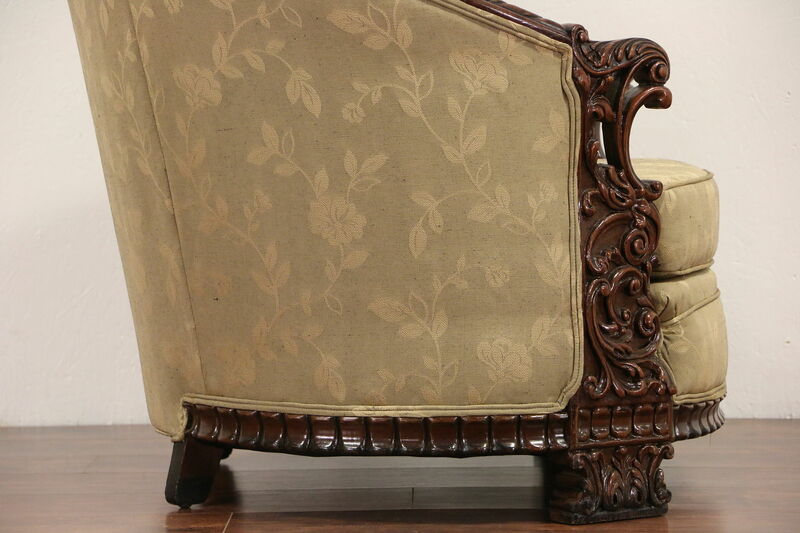 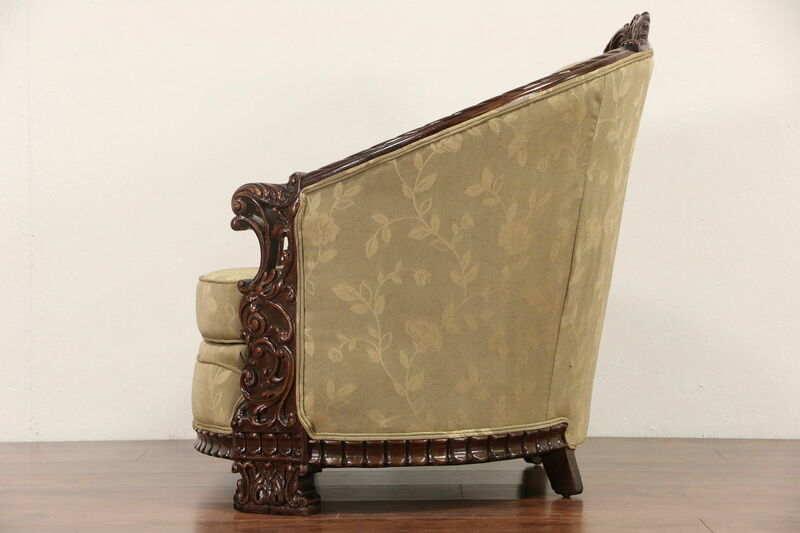 Lavishly carved in the 1930's, this gently curved sofa and club chair set has been recently upholstered with deep channel tufting. 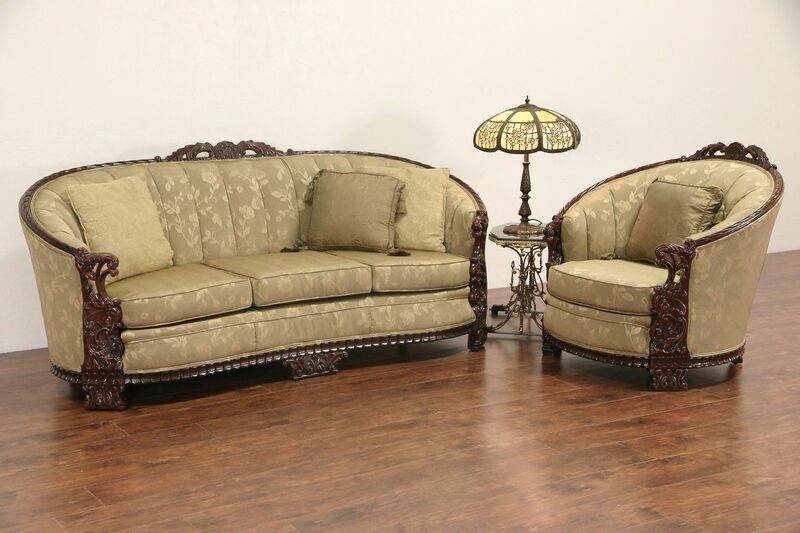 The fabric is quite delicate, this beautiful set would be best in a setting with little use. 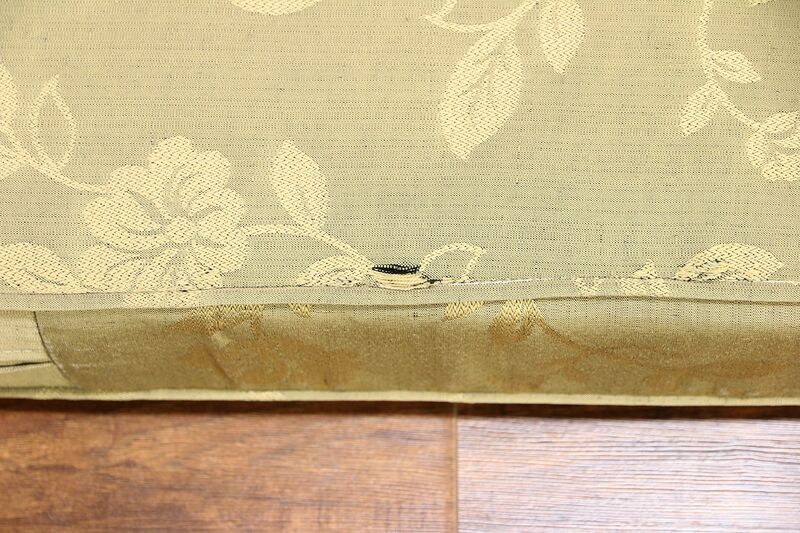 There is a tiny rip on the bottom of one cushion, see photos. 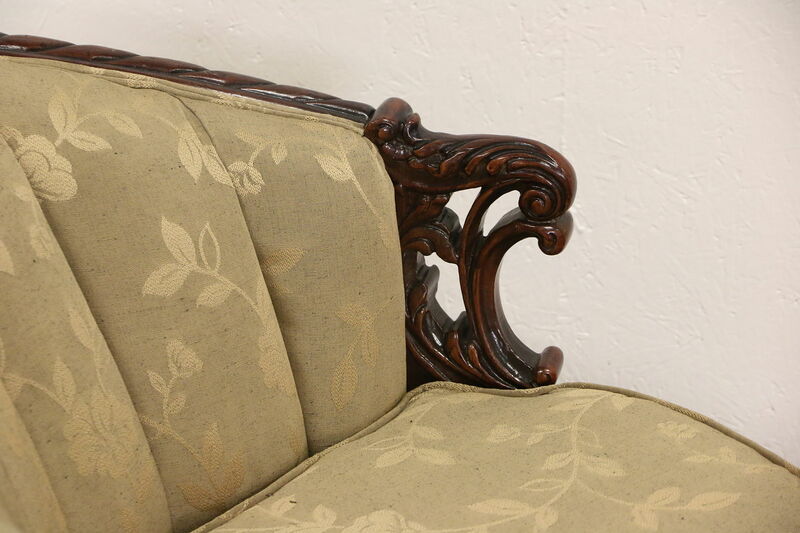 Opulent solid fruitwood frames are strong and tight with an excellent restored finish. 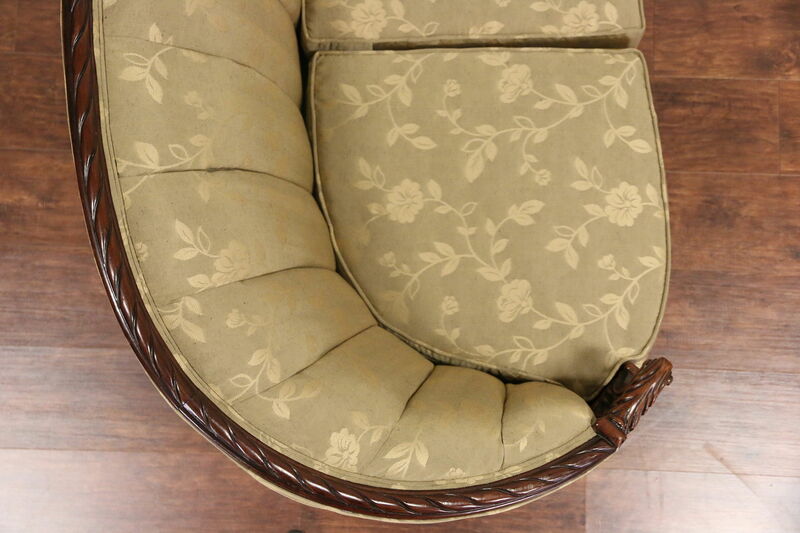 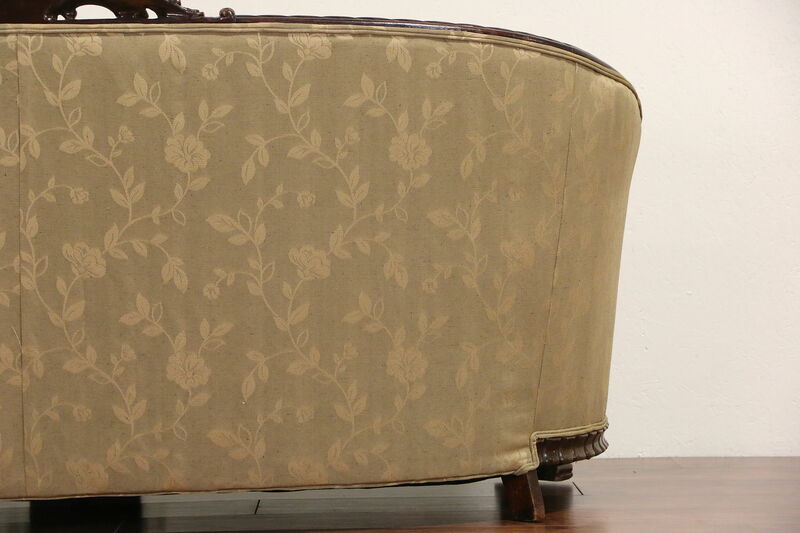 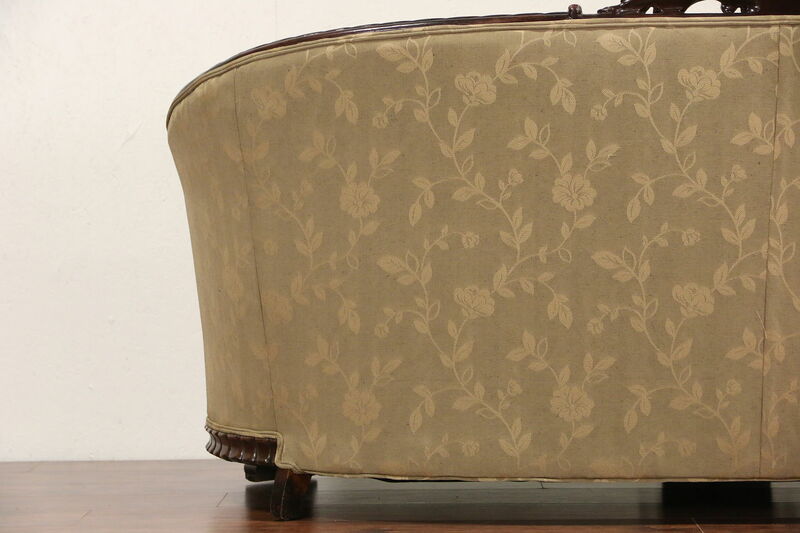 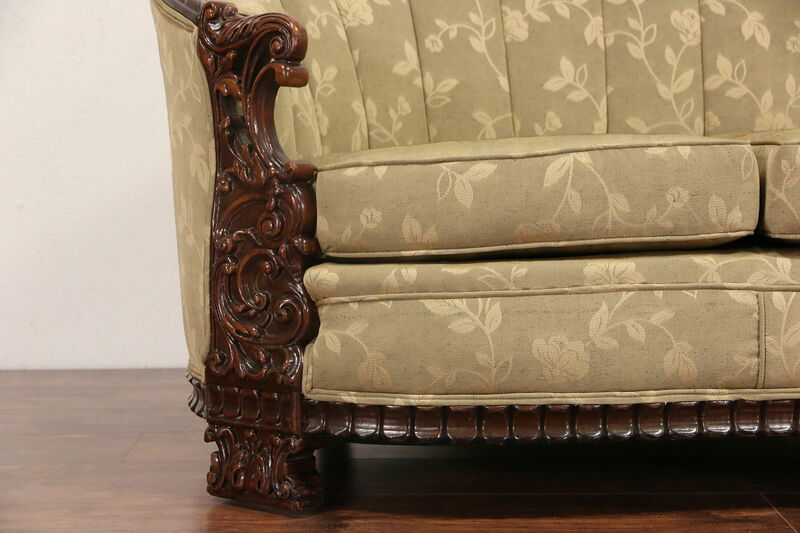 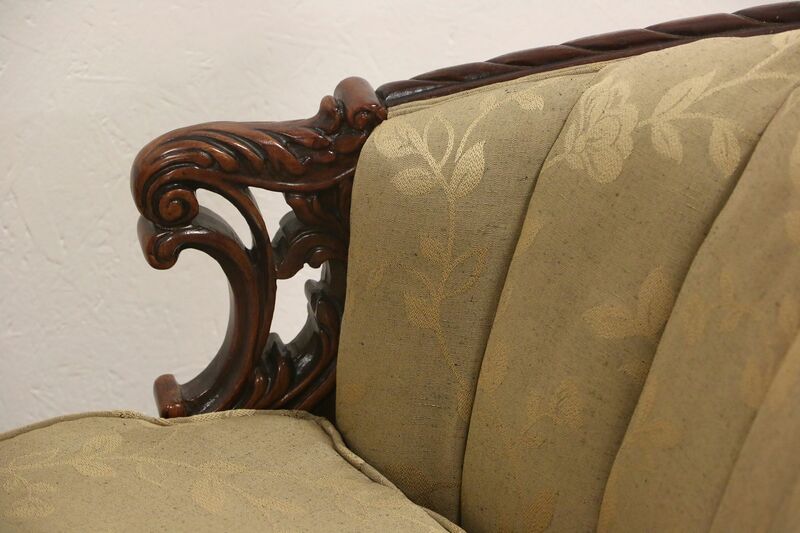 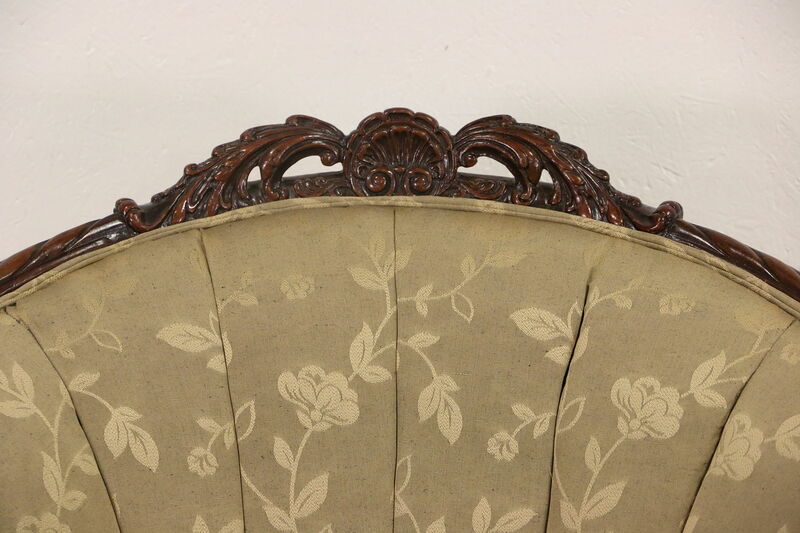 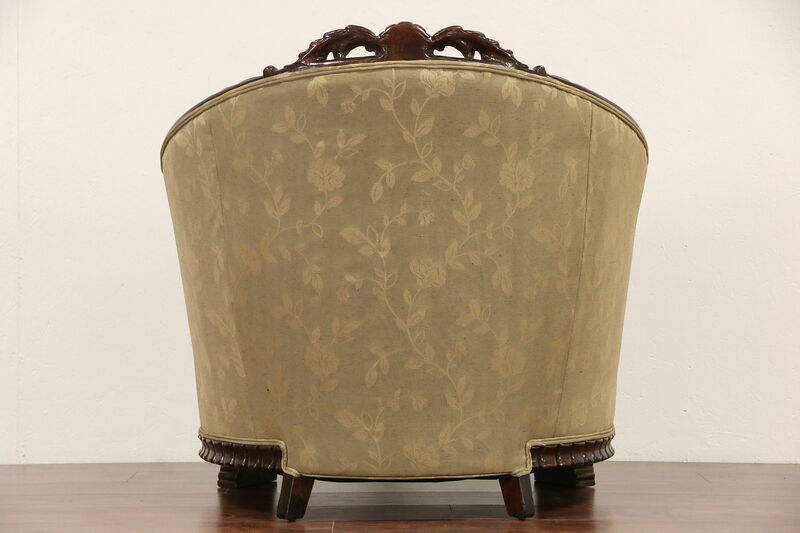 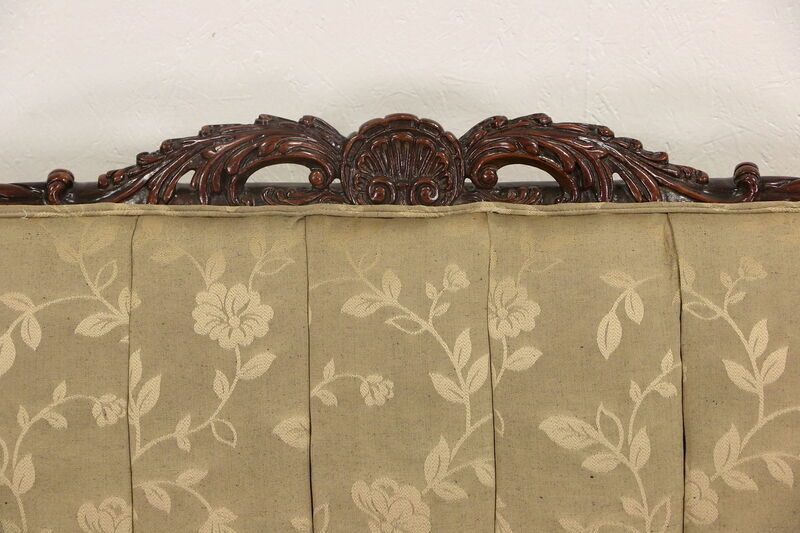 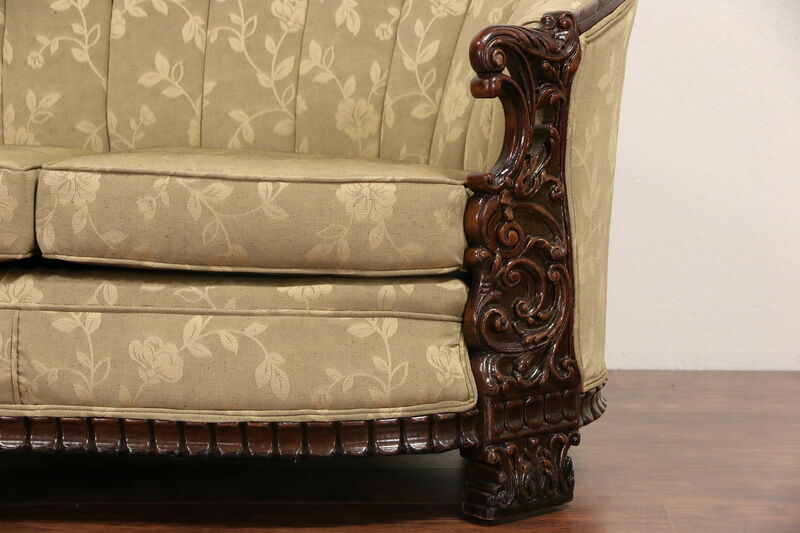 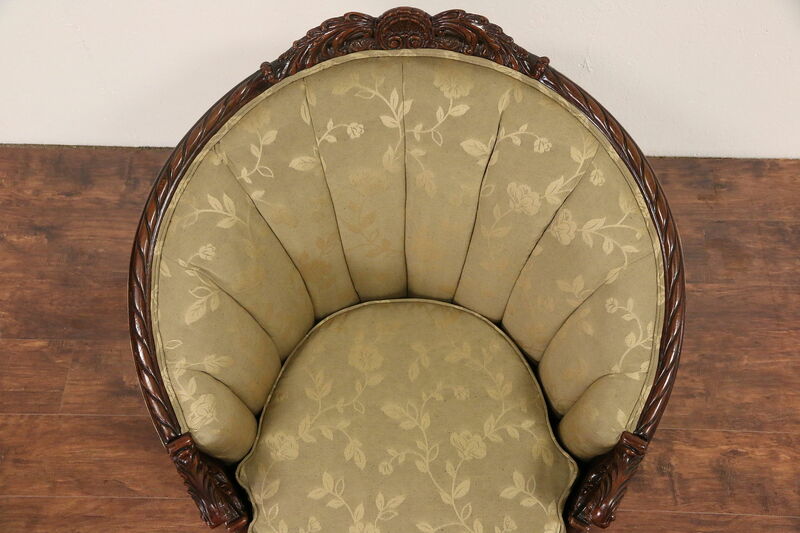 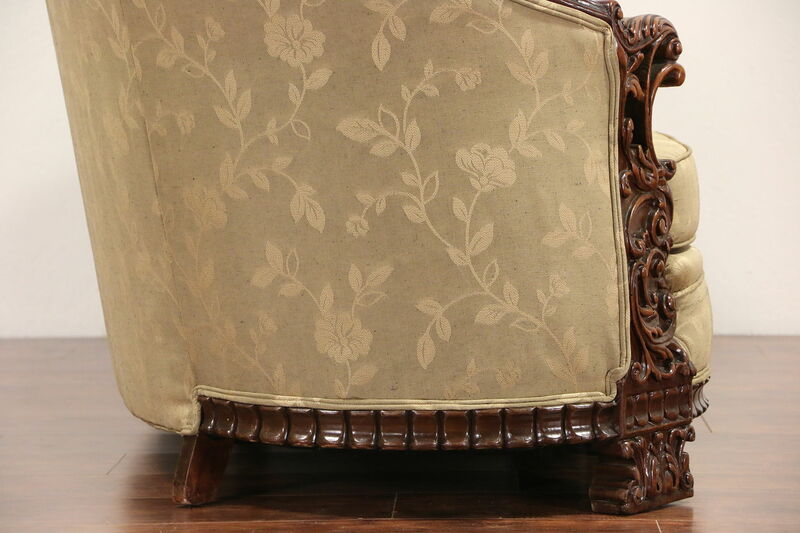 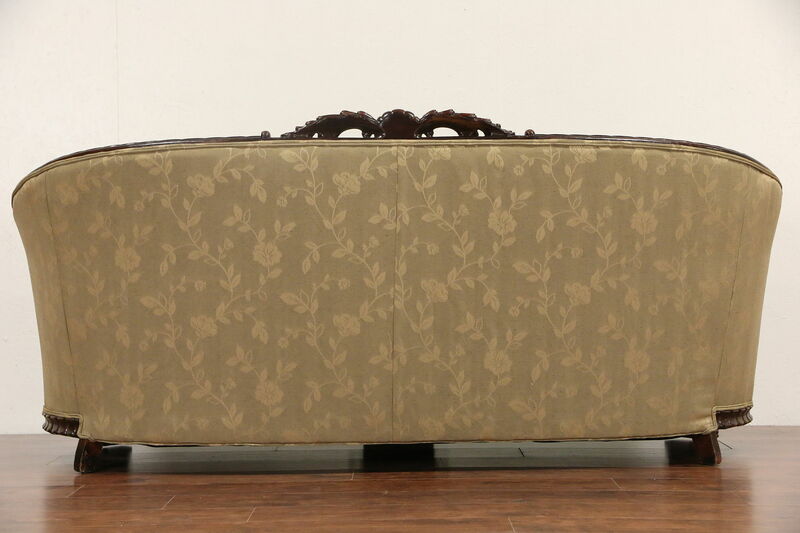 Zippered cushions are soft but supportive on this American made vintage furniture. 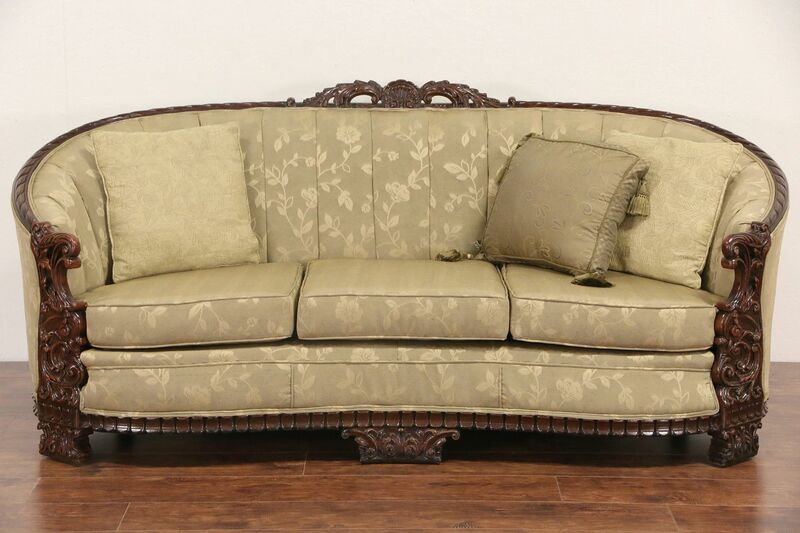 Chair size is 39" wide, 36" deep and 37" tall, the sofa is 36" deep, 37" tall and 82" long, seat cushions are 17" high.